On Soundcloud it says you wrote this in 1993! Very well put together backing and the singing is excellent. The whole things sounds nicely mastered and well balanced. Thanks for posting - I enjoyed it very much. Yes I wrote a bunch of songs back in the 90's and thats why I bought BIAB. I always wanted to record them but never had the means to do so. I sing and play guitar (Strum & Pick) so my biggest challenge has always been how to record a song with limited musical abilities - now a days we have so many resources and it's great fun putting something original together. A number of my songs do need a rewrite but I'm recording the best ones first. Thanks for your comments. I thought it had a nice reminisce of "Woodstock" about the "feel" of the piece. Paul, it sounds like you succeeded in mixing this one as it sounds great. 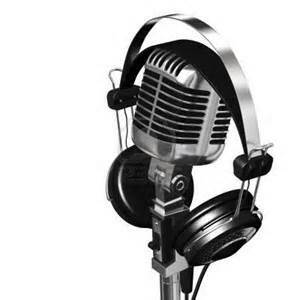 Good vocals, lyrics and backing tracks what more could you ask for? The recording sounds very good. Good production and a good mix. The vocal sounds good to me. 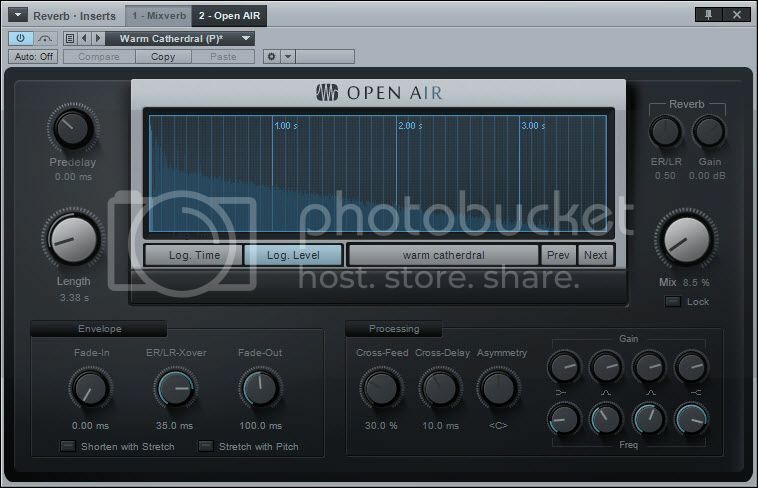 Do you use one of the pre-existing FX Chains (vocal) in Studio One? Thought that full harmonies on the chorus would work well for this song. It would be helpful if you listed the tracks that you use. Is the tambourine from BIAB? Nice work on bringing the old stuff into the modern age. I too have a bunch of old stuff that I have considered recording now with BB...... but when I play them, I think it's better to leave most of them in the ash heap of history. That snare is bugging me. it stands out from the rest of the mix a bit too much. I like it, but it's a few db too loud. Outstanding work, sounds great; Love it. Thanks for sharing! We really like this one! there's nothing wrong with your voice on this...nothing at all! You sound great! The arrangement is just right. We loved everything about this one. Good work!!!! Really nice song and the levels on everything are just right. I'd say you've got it down. Keep 'em coming. Thanks Ian, I don't know Woodstock I'm afraid. I thought it had a feel of "Horse With No Name"? Difficult one as it will sound differnt on other speakers. I've noticed that if my songs are played on speakers lacking bass they tend to sound tinny. I'm trying to go for a "live" sound and I do like nice clear drums. 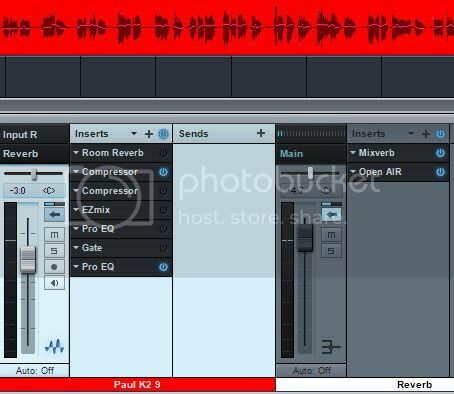 Thats why I bought EZdrummer because the drums in BIAB (to me) sound washed out alot of the time (lacking realistic sound), especially on drum fills as the cymbols can sound "compressed" plus I like having more control over drum styles, fills and endings. I was listening to couple of my songs in the car the other day and thought the bass was too heavy on them despite mixing on KRK monitors. I think I need to add some kind of hi pass filter to cut out some of the low bass frequencies. Point taken though I doubt I have mixed them for the final time. Thanks for your comment, appreciated. Thank you everyone for your comments, it feels safe to share your songs here in a friendly environment. I don't mind you critiquing my songs either if you think I could do anything better, either for this song or any future songs I do. Near the end of the last chorus it sounds like I am singing with a cold. I wasnt, something has got lost in Melodyne I think. 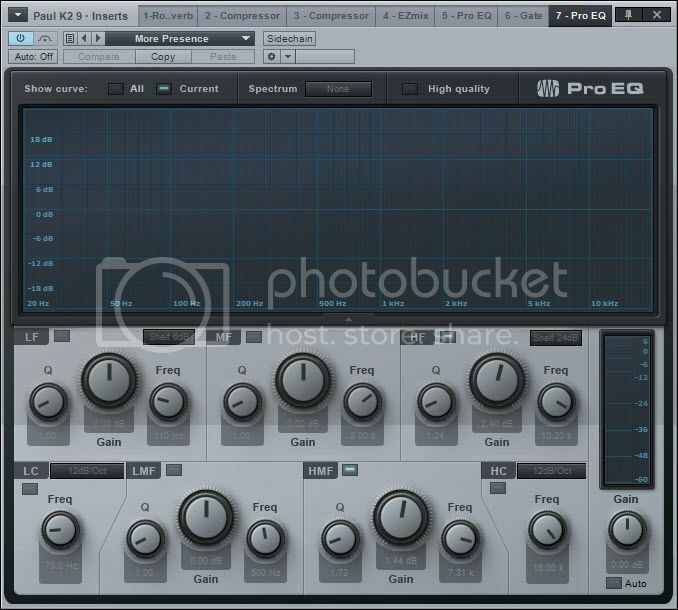 I have noticed Melodyne can add problems to your vocals as well as fix problems. I like the complete production, FWIW, I listened on my KRK studio monitors and it sounded like a clean mix with good stereo imaging. I like the vocal and agree with floyd that harmonies would really round it out. You got it going! I noticed that you also use KRK's. I've found them to be the closest I've come to monitors that if I can nail it on them the song will tend to sound good on all my other listening options. Here's a link to thread on creating harmonies. Might be useful for you.